We are a leading supplier of Zinc Metal to our valuable clients. • Parts that require crimping. We produce refined zinc metal, which is used in a number of applications including galvanising, oxides, die castings and alloys. An extremely shiny metallic element with a bluish white lustre. Zinc plays an important role in many areas of technology. Brass, a zinc-copper alloy, and various zinc pigments, used to prevent corrosion, are just a few examples. Pure zinc melts at approx. 420 C and boils at approx. 907 C.
Steelsol is leading player in Supply of Zinc(Upto Special High Grade Zinc (Min. 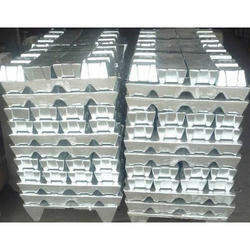 Purity 99.995%) as per specs BS EN 1179: 2003.We are regular Supplier of Zinc to many Galvanizers in regular basis. We are engaged in providing Zinc, which is used in batteries, alloys and dietary supplements. Zinc is extensive used in different types of chemical reactions. 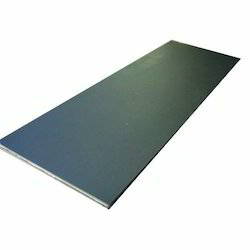 We have large stock of Zinc scrap, which we provide to the customers at cost-effective rates. Zinc scrap can be melted easily to manufacture different types of products. Zinc – Strong relationship with strong suppliers from Iran, CIS countries who are financially capable of handling good amount of volume every month at much attractive premium with a consistency. Deals in SHG, HG & PW. Zinc is a metallic chemical element. It is naturally found everywhere in the environment. Chemically, it is represented by the symbol Zn. Zinc derived its name, supposedly, from the German word Zinke, which means 'tooth-lik' or 'pointed'. Zinc must have got such a name owing to its crystal form which is needle-like in structure.